Everyone receives news about UFOs from time to time these days. The subject fascinates sincere friends of truth and some important theosophists. There are many who seem to think the UFO debate  makes a difference for humanity. Some of them are always alert, for “the perfect photo opportunity might emerge any time”. Yet, in spite of all the existing anxiety and expectation around the subject, a few things are certain. Karma Law is still operating. No UFO will cancel the present karmic challenges of this planet’s humanity. We have our own hierarchy of divine intelligences. No UFOs can interfere or change our Karma. It is up to us to do our job. We need to prepare the next historical moment of our planet and human civilization by stimulating a universal and cooperative perception of Life. Such a task goes far beyond taking photos of spaceships behind the clouds. It is a surprising fact that the UFOs don’t go beyond sightseeing tours. They seem to have nothing intelligent or useful to say. And when some “UFO Commander” actually says something to the Ufologists, then it is the usual pseudo-esoteric nonsense. Perhaps the UFO crews have nothing to do besides sightseeing at the physical plane around the Earth. They may have no homework to do in their own galaxies, and perhaps even here – since they never go beyond visual long distance and fugitive, if not hypothetic contact. In fact, why would contact with other humanities need such a display of outer physical sightings, which are, at best, mere passing phenomena? What is the amount of glamour and illusion around these events? Theosophists know that Sages act mainly at the level of Causes, not so much at the level of Effects. These are some issues ufologists usually do not comment. For decades, it has been the same story: seeing beautiful flying saucers in the sky. But we have our own homework to do. Our home is our planet. Nobody can or will do our job for us. It is theosophy – not Ufology – that tells the inhabitants of the Earth where we are in terms of Evolution and what step must be taken right now. Perhaps we should offer some Theosophical books to foreign spaceships, so that their crews can study H.P.Blavatsky and other classical thinkers, and stop distracting people from their duties. The Independent Lodge of Theosophists and its associated websites would be glad to help the crews of spaceships belonging to the Local Group of Galaxies. We would be proud to help in the formation of an Extra Terrestrial Theosophical Lodge in a nearby galaxy. Our friends the Extras may need that, in order to go beyond the utter superficiality of mere visual effects. If they have an interest in our planet, UFO crews must take a bold step and try to understand the past, present and future of our humanity. In order to do that, they must use their intelligence and study karma, reincarnation, the law of cycles, the process of chains and rounds. Making mayavic effects like those of Steve Spielberg’s movies should not be the priority. It is much better to read and meditate on theosophical classics – including the famous article “On Pseudo-Theosophy”, by H.P. Blavatsky. 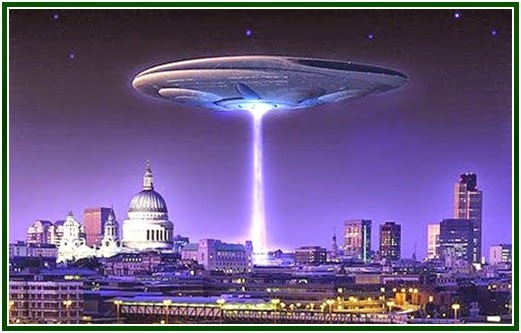 UFOs are Unidentified Flying Objects, or flying saucers.